Police spotted the gray Model S belonging to Alexander Samek, the chair of the Los Altos Planning Commission, doing 70 mph on Highway 101 early Friday. As this was above the speed limit, officers pulled up alongside the car and noticed that Samek was allegedly asleep, leading them to assume it was in autopilot mode. The Tesla eventually came to a stop after another police car positioned itself in front of the vehicle and started slowing down. According to a press release, it still took a while for officers to wake Samek, who was then taken to a nearby gas station where he failed a sobriety test and was arrested over a suspected DUI. 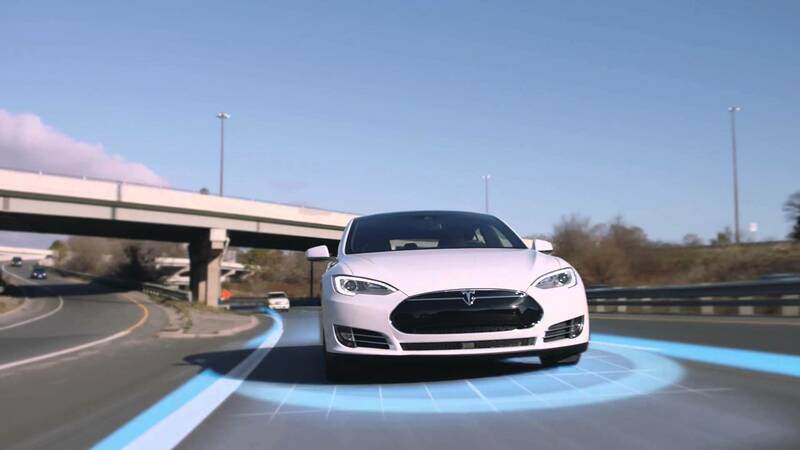 The Autopilot system in Tesla vehicles alerts drivers if it detects they’re not holding the wheel. It eventually slows the car down and stops it if the warnings are ignored. It’s assumed the Model S in this incident managed to travel 7 miles because Samek had been putting pressure on the wheel as he slept. There have been several accidents over the years, some resulting in driver deaths, in which Autopilot was activated. But Tesla notes that its vehicles have traveled a total of one billion miles with Autopilot assistance. Some owners continue to leave the driver’s seat after the feature is enabled, including a UK man who was caught on video sitting in the passenger seat while his Tesla did the driving. "But my client was sleeping, not driving, your Honor!" MaXtor, JaredTheDragon, cliffordcooley and 2 others like this. MaXtor, Reehahs, cliffordcooley and 4 others like this. MaXtor, Reehahs, Sausagemeat and 2 others like this. Just think, If he didnt have the autopilot feature in his car, he may have got in the car and drove home anyway. in which case, he would be dead now most likely. Or he could have killed someone else. MaXtor, Digitalzone, Reehahs and 4 others like this. this is the future people, whats the point in this tech if it isnt used for exactly moments like these, call it autopilot and you're begging for this type of behavior. as soon as you give people any opening they will abuse it so might as well design the feature around human carelessness. People's driving skills have been going down hill for decades. These autonomous cars are accelerating this. Why learn safe driving if the car will do it for you? Sad. Just think, If he didn't have the autopilot feature in his car, he may have got in the car and drove home anyway. in which case, he would be dead now most likely. Or he could have killed someone else. The two sides make it difficult. On the one hand, this guy killed no one and police were able to stop him safely because of Autopilot, on the other hand you have people, like the guy in the video who climbs into the passenger seat and lets Autopilot take over. Which side will win (meaning safety) I'm not sure just yet because both of these people shouldn't be allowed to drive. In my world of building automated production machines, we call it "***** proofing". "Not what the feature was meant for"
MaXtor, Godel and Reachable like this. So I guess if this car car slammed him into a lane divider and killed him like these have done others, then it wouldn't have mattered? The comments here say that him being drunk would have killed someone. Ask that lady that got run over while trying to cross the street in front of one. Oh, wait... Hence, these self-wrecking cars basically drunk drivers. The companies are the ones who program and design these, hence the companies are liable for putting drunk drivers (autonomous cars) on the streets. I was charged once while sleeping off a drunken spell on a parking lot. All because the keys were in the ignition. If I had taken the keys and threw them in the floor, I would not have been charged. It is my opinion that if you are going to be a passenger. Don't climb in behind the wheel [assuming there is a wheel]. Anyone sitting behind the wheel drunk [even in a fully autonomous vehicle] should be charged with driving drunk. Because then they are in a position to take control at any time. LOL, the statistics do not support this claim in the slightest. Motor vehicle deaths are about 60% lower now than they were in the 1970s. Well, it might provide people to get more lazy and forget about any awareness. You even have the guy that killed himself because he refused to take the wheel when the autnav was warning him to do so. resulting in a head on collision with another vehicle. I recently completed a speed awareness course that confirmed this. Although you could probably argue that cars are considerably safer than they were in the 1970's. So lack of driving skill is balanced by better safety standards. That doesn't necessarily equate to driving skills being improved... cars are now designed to absorb the energy of an impact, rather than a 1970s car that would transfer all the energy of an impact to the person(s) in the vehicle (equating to a drastically higher chance of death). I would also guess seat belt laws and other safety regulations have helped lower that statistic as well. Correct me if you find research to the contrary, but I'd agree with Ralloh and argue that driving skills have diminished year over year since the introduction of mobile phones, followed by mobile texting, and of course smartphones (which also improve year over year, giving drivers more reasons to look away from the road). I guess that the ultimate test for autonomous cars will be "Is it safe for a drunk to drive home?" Ravey and cliffordcooley like this. Lol - the autonomous car version of "Can it run Crysis?". Brahman05, MaXtor, Ravey and 1 other person like this. This is more a difference in cultural awareness, but an Indian man once caused a major accident when he went to the U.S., rented an RV, put it on cruise control, and then went in back to get somthing to drink. This was waaaaaaay before the idea of autonomous vehicles took hold.